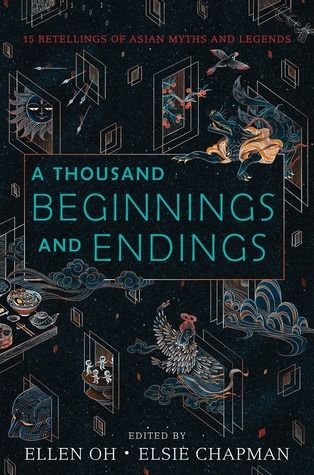 SYNOPSIS: Fifteen bestselling and acclaimed authors reimagine the folklore and mythology of East and South Asia in short stories that are by turns enchanting, heartbreaking, romantic, and passionate. This was my favorite read for May and I already ordered it. I’m so glad you loved it, too! Awesome review! I was wondering how many different areas in Asia would be in the story. Looks like a great variety of stories 🙂 can’t wait to try it! Thank you! 😀 Yes, there’s a big variety – I hope you enjoy it! I’m kicking myself that I didn’t request this on NetGalley but I *did* read Where the Stars Rise which is similarly Asian SFF anthology which was great. I really want to read this one though too! I want to read Where the Stars Rise after hearing you rave about that one, too! Ahhh you know I already loved this and will gush about it with you anytime!!! I just wish that one Filipino story had a little more ‘umph’ to it because the Aswang is supposed to be terrifying! Yesssss, gushing is needed for this one! ♥ Aw, understandable! I kind of expected a little more from that one, too! This sounds like an AMAZING book and the cover is completely gorgeous! Yes, I love that cover! I saw a picture of the finished hardback on twitter just yesterday and I think it’s going to be even more gorgeous in person! It WAS! I hope you love it, Ilsa! Another book that’s been on my TBR for a good minute. You can’t help but love something that has so much variation of culture between the covers and watching you 5 star so many of the story makes me really excited to pick this one up. Pity about the 1 stars but it’s hard to win them all in an anthology. I hope you get to check it out soon! The release isn’t too far off. 🙂 And yeah, I don’t think I’ve ever liked every story in an anthology unless the anthology was all by the same author – but this isn’t too bad to only have a couple of 1-star ones! Wow this sounds amazing! I definitely need to check out this anthology! Great review!